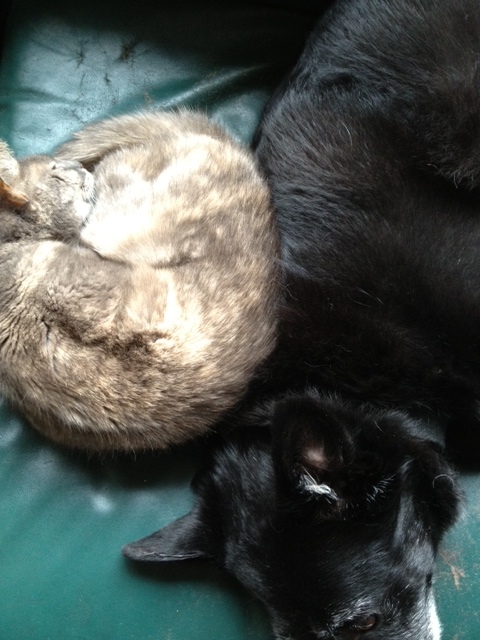 Our recently departed cat Boink and our dog Shadow enjoying some couch time together. So sorry about your cat. That’s a great picture. Weekly Photo Challenge / B4 Retouch: Curves / Al-Janad Mosque | What's (in) the picture? Weekly Photo Challenge / B4 Retouch: Curves / Avignon | What's (in) the picture? I know. Well, she had a long and good life, and we got to enjoyed her company for many years. Still see her in her favorite spots, out of the corner of my eye.